A train carrying the remains of many of the 298 victims of Malaysia Airlines flight MH17 arrived in a Ukrainian government-held city on Tuesday on the first leg of their final journey home to be reclaimed by their families. 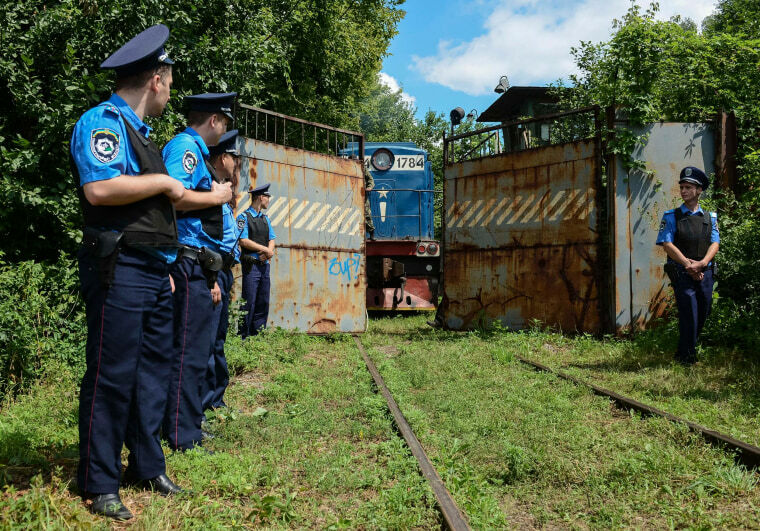 Five refrigerated wagons containing 200 body bags reached the city of Kharkiv after pro-Russian separatists agreed to hand over the plane's black boxes to Malaysian authorities and the bodies to the Netherlands, where the flight originated. The train slowly rolled into the grounds of an arms industry plant, where the remains are due to be unloaded and flown to the Netherlands for the lengthy process of identification. A spokeswoman for a Dutch team of forensic experts in Kharkiv said departure was not expected before Wednesday.